Germany´s answer to GREEN DAY, THE DICTATORS and old Swedish band DOCENT DÖD (goes slightly metal). 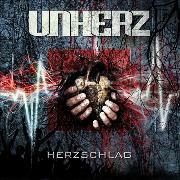 UNHERTZ releases their second album, with a more metal cover than suitable. Attitudes en masse and four chords can get you far, and they aim to prove it. They aim for live appearances, which is natural, Oktoberfest must be their natural habitat according to the info sheet. And the music?